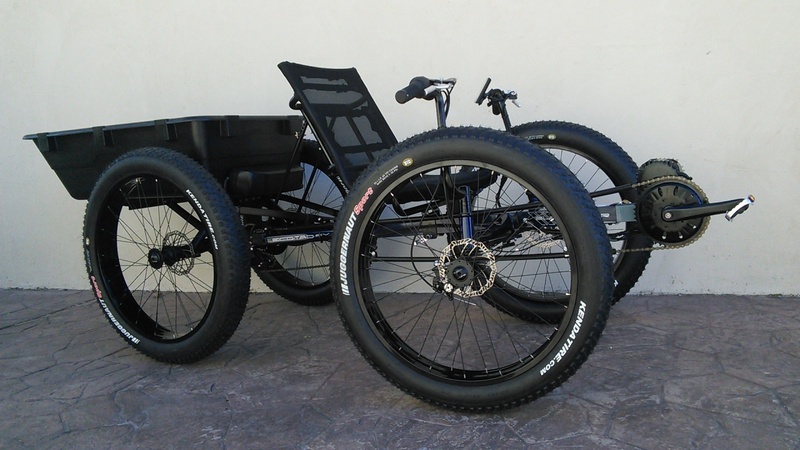 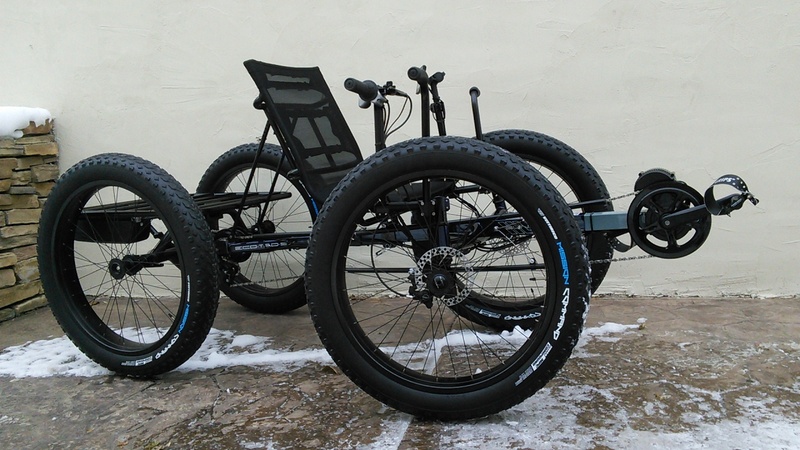 The Eco Quad from UTCustom offers increased traction and higher cargo capability than a recumbent trike. 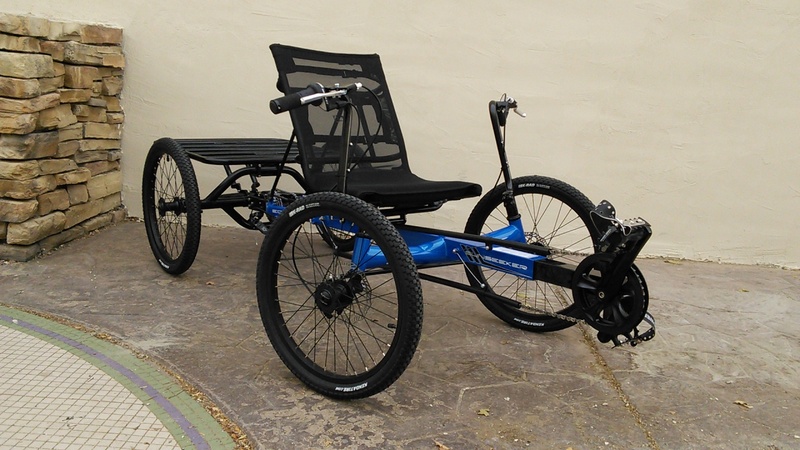 Delivering a high seat, amazing stability, and great steering feel, the Eco Quad SX is an affordable, comfortable everything machine! 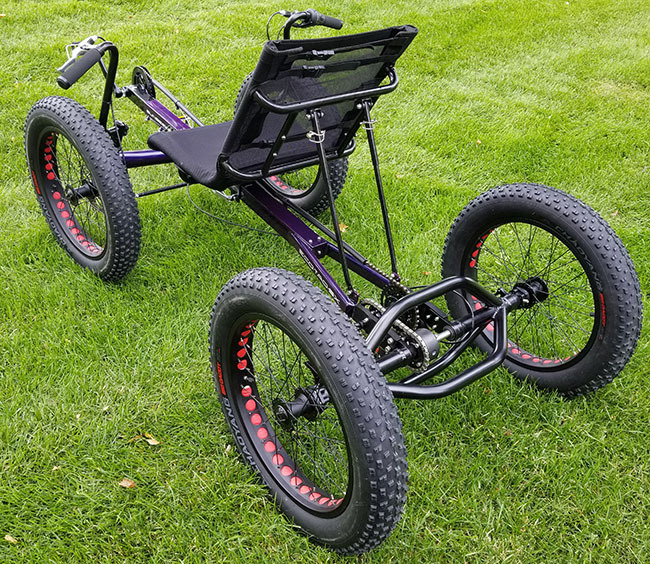 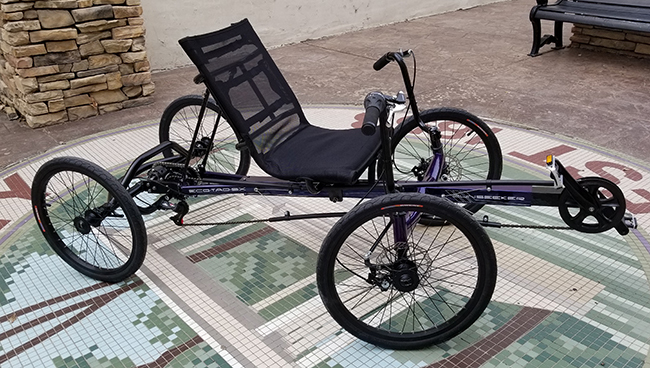 We kept the base configuration simple to keep the price low and have many options such as fat wheels, huge gear ranges, and electric motor assist. 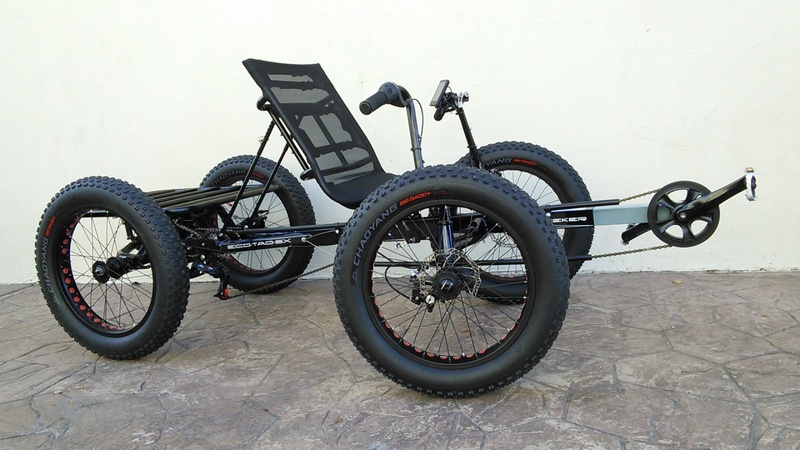 The first customizations that we ever made at Utah Trikes were turning trikes into quads. 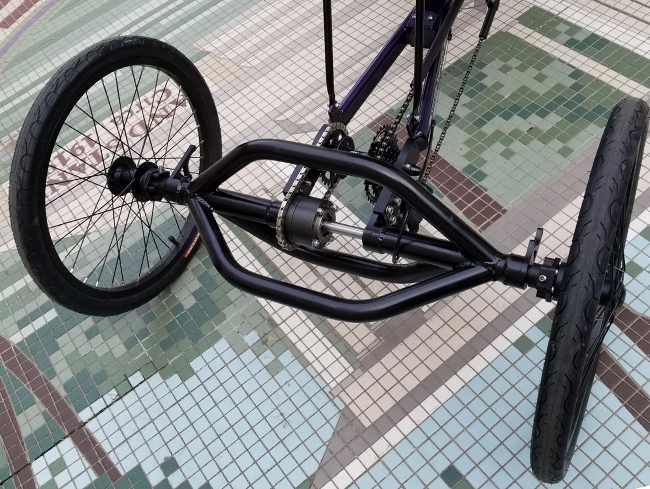 We've made a lot of them over the years but, for the first time, we are now able to make one under $2000! 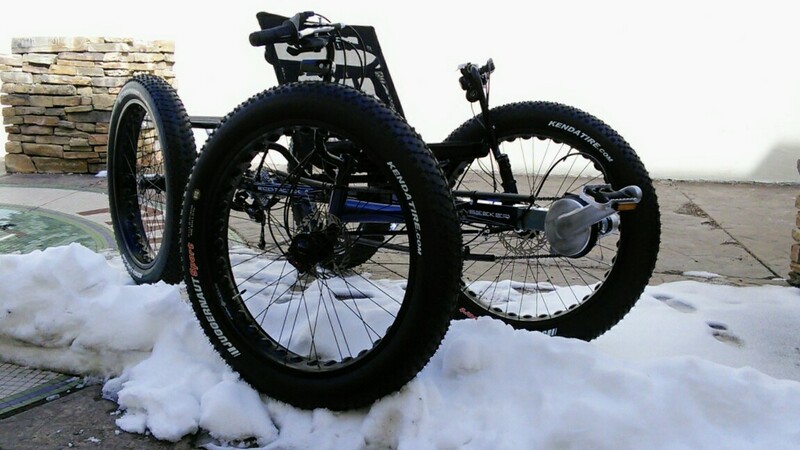 Our Eco Quad SX features the same aluminum rear end that we have perfected with our Cat-4 Quad series. 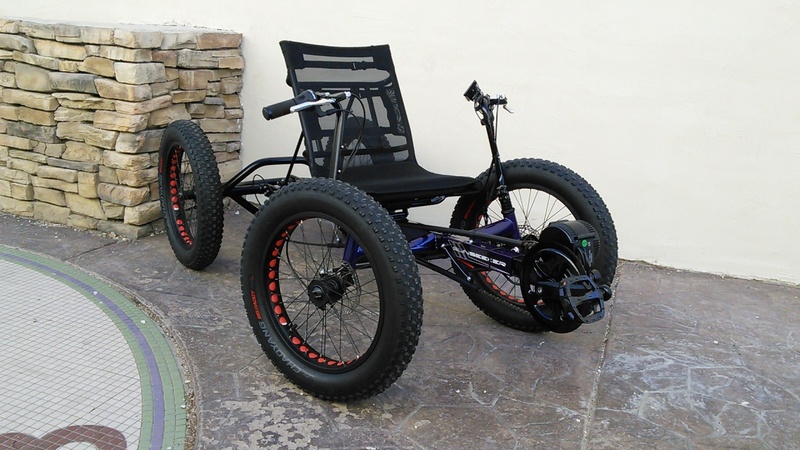 The rear axle assures the best traction with our Utcustom Carbon Fiber differential. 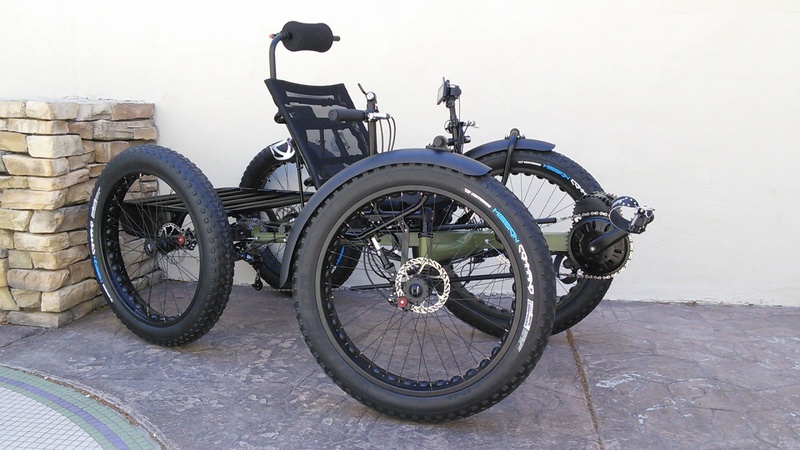 The differential features two user-replaceable freewheels to reduce tire slipping in loose terrain. 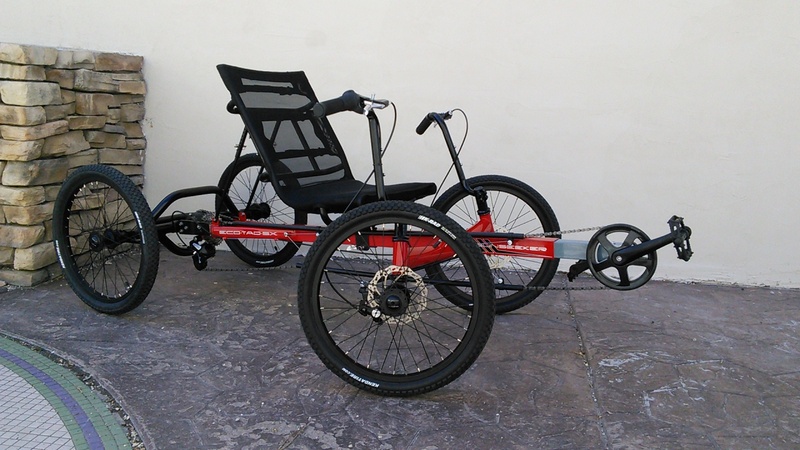 Our quad attachment system allows the use of several different gearing options. 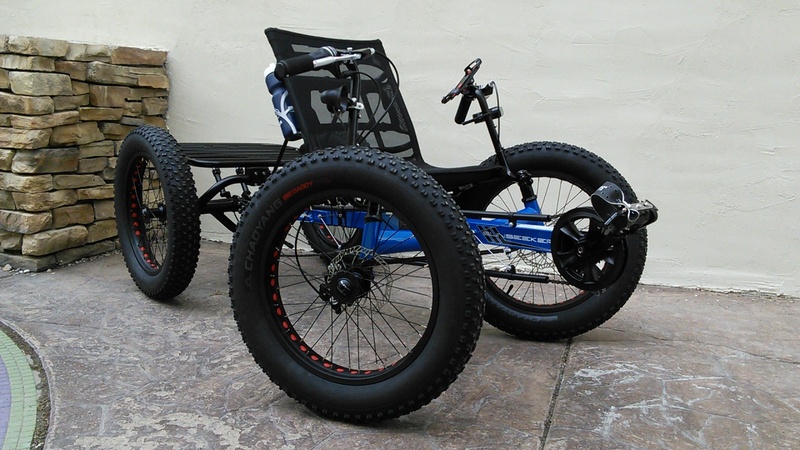 The Eco Quad SX offers a lot as a platform with lots of upgrades available. 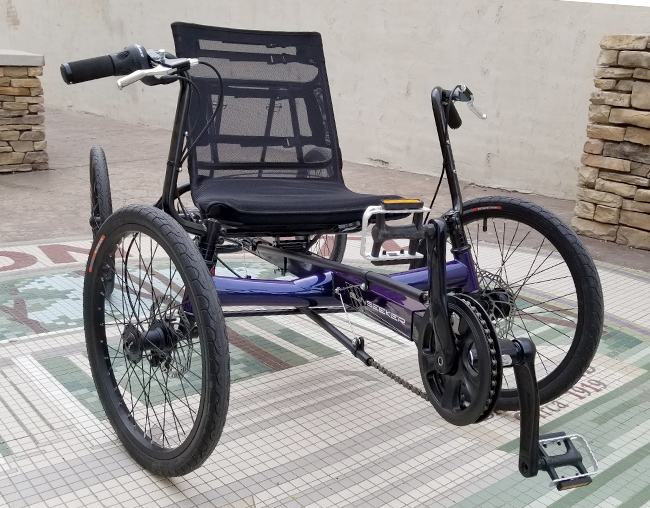 Motors, fat wheels, and even front suspension are available. 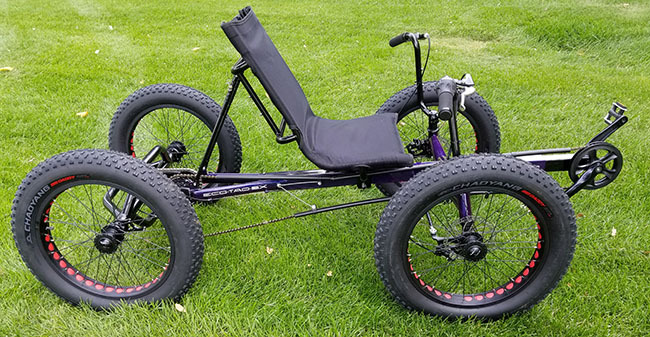 Just by adding our optional Fat Wheels and tires to your Eco Quad you can turn it into an off-road ready, trail riding beast!